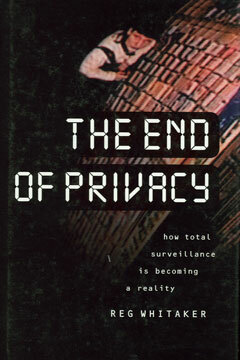 Called “one of the best books yet written on the new information age” by Kirkus Reviews , The End of Privacy shows how vast amounts of personal information are moving into corporate hands. Once there, this data can be combined and used to develop electronic profiles of individuals and groups that are potentially far more detailed, and far more intrusive, than the files built up in the past by state police and security agencies. Reg Whitaker shows that private e-mail can be read; employers can monitor workers’ every move throughout the work day; and the U.S. Treasury can track every detail of personal and business finances. He goes on to demonstrate that we are even more vulnerable as consumers. From the familiar—bar-coding, credit and debit cards, online purchases—to the seemingly sci-fi, such as “smart cards” that encode medical and criminal records and security scans that read DNA, The End of Privacy reveals how ordinary citizens are losing control of the information about them that is available to anyone who can pay for it.